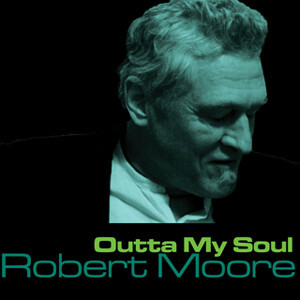 “Outta My Soul” CD Released November 11! Two and half years ago I went to the studio with a grand idea for an album project – unique tunes with arrangements by masters – along with the area’s greatest musicians. The recording took only three days. The mixing/editing about six months. The production of the final product – well, lessee here – that’d be two and a half years plus. Finally, the album is out on FRESH! from Reference Recordings out of San Francisco! Playing with a who’s-who of Portland Jazz musicians, Robert Moore has made the album of his life. He’s so hip, he could, if he chose, make the current generation of hipsters lick his shoes. He sings, plays trumpet, writes, interprets and is as cool as the other side of the pillow, if the pillow were under Miles Davis’ head and Chet Baker was drinking in the next room.